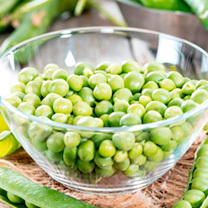 A good source of vitamins and folic acid. 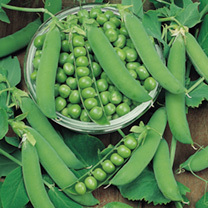 Mangetout types are a good source of vitamins A & C as the pod is eaten in addition to the seeds and are high in potassium. 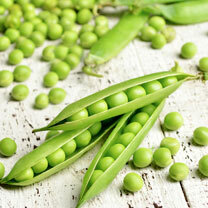 Peas also contain soluble fibre useful in removing harmful cholesterol. 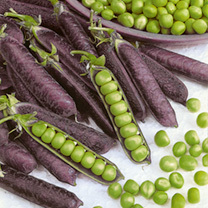 Eat raw or steam gently to retain nutrient values. 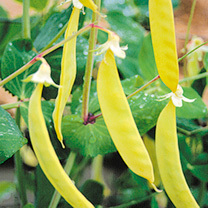 As soon as pods are harvested, sugars begin conversion to starch, so eat soon after picking. 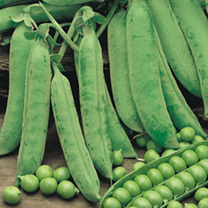 For the best tasting peas, pick in the evening before theseeds are fully round and cook within an hour – that’s if the children do not eat them all raw!